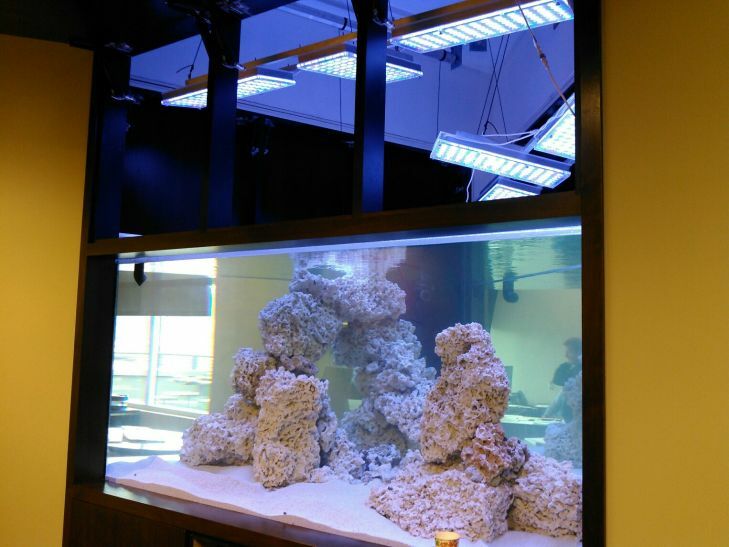 Lighting a 1500 gallon reef tank- From initial planning to execution. 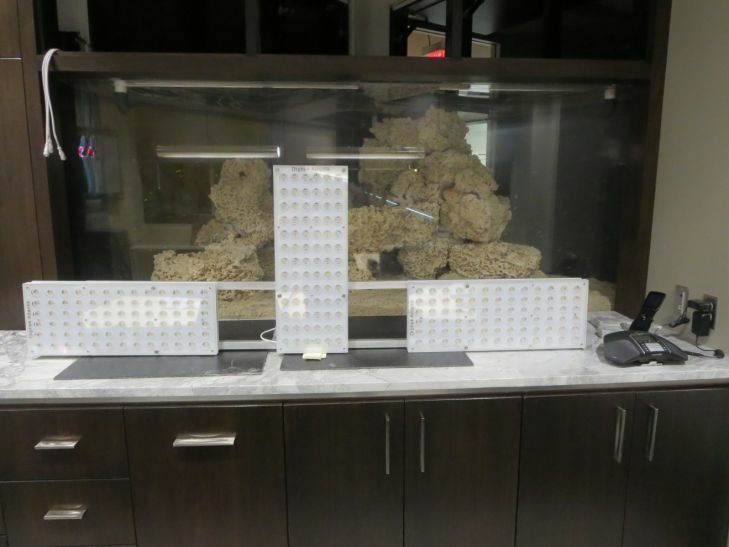 Choosing the proper LED lighting for a 1500 gallon triangular tank can be a daunting task but with Orphek LED Aquarium Lighting, the choices were easy and the process was simple. In September of 2014, we were contacted by Ruff Waters Inc. , a custom service and installation company in Omaha, Nebraska. 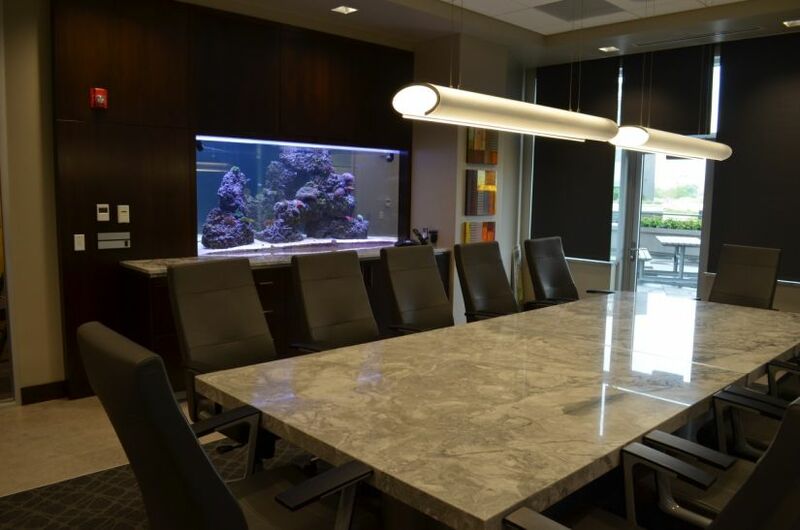 Owner Scott Ruff was in the planning stages of a 1500 gallon reef tank to be installed in the corporate office of an existing client. 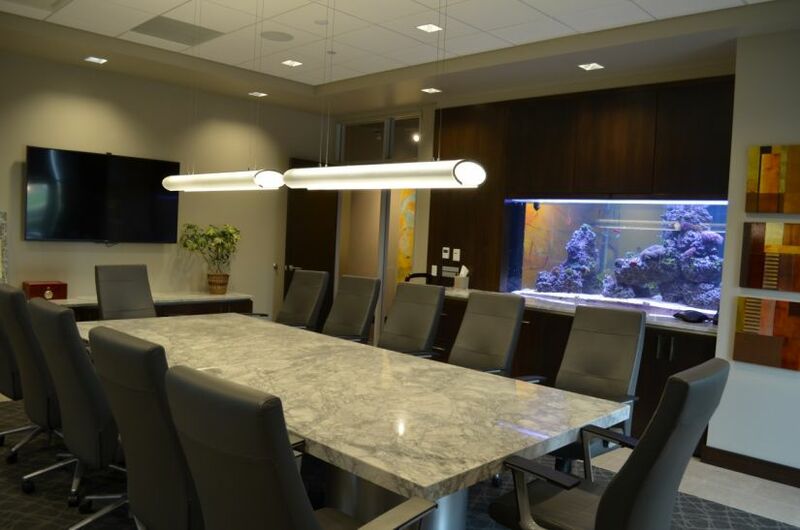 After a short conversation, the Orphek team went to work planning the best lighting options and mounting configuration for the custom tank that was built by Titan Aquatic Exhibits. 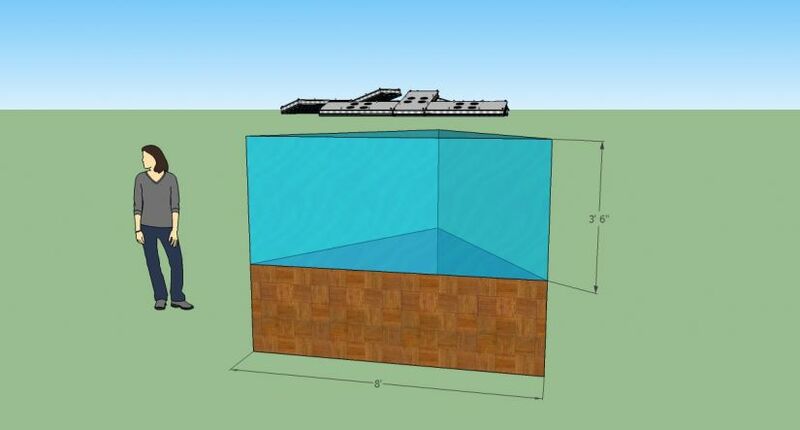 Information that the team needed, consisted of overall dimensions of the system, location in relation to work spaces and windows, mounting location above the tank, availability of electrical connections, client preferences, types of coral to be housed and several other parameters in which to operate. Complicating this build was the fact that it was a custom triangular tank roughly 8 feet on each side and 42 inches tall. The mounting area above the tank had over 4 feet of head room and plenty of electrical options were available as the construction was in progress and electrical had not been completely finalized yet. 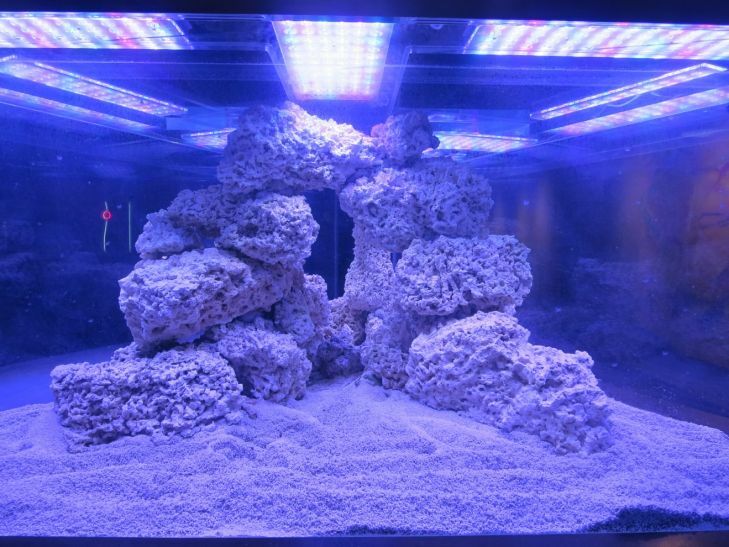 Scott and his team at Ruff Waters had a detailed plan for a hand built rock structure and wanted to ensure that the lighting plan was able to fully light the tank for SPS with consistency. Ensuring high PAR numbers despite the thick acrylic top of the tank and covers was something that consideration had to be given to. With all of the information in hand, a plan to light the tank was created using 9 units of the Atlantik v Series light. 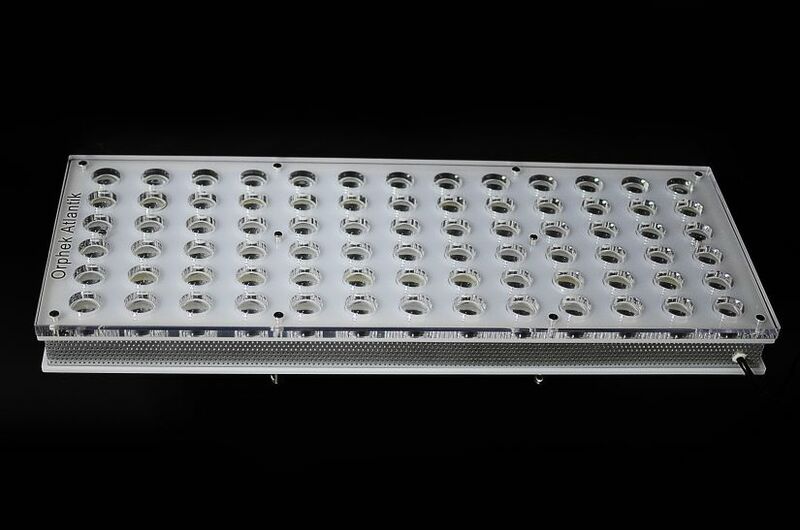 The v series is a large light capable of lighting a 48 inch x 24 inch area with enough intensity throughout for SPS coral. A digital mockup was created and sent to the client for review and approval. 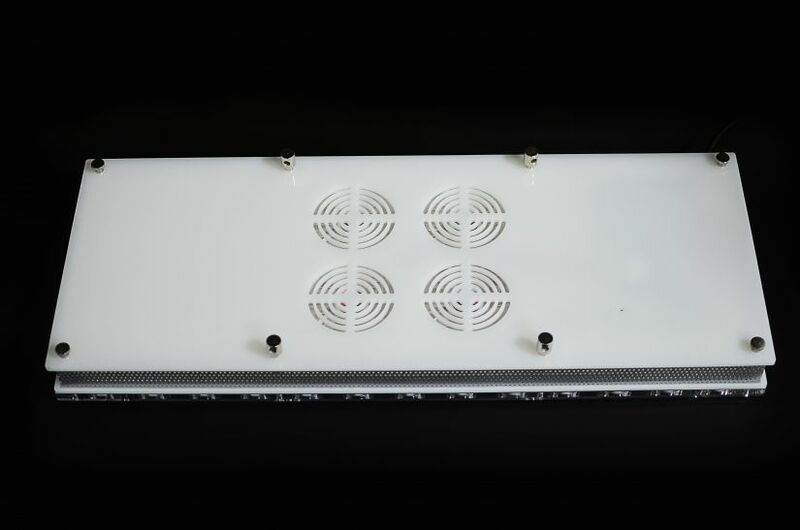 The Orphek Atlantik v Series offers a full spectrum light with 4 channels of wifi control that would allow for the simulation of a full daylight cycle from sunrise to sunset and even match it to the office hours of the client. 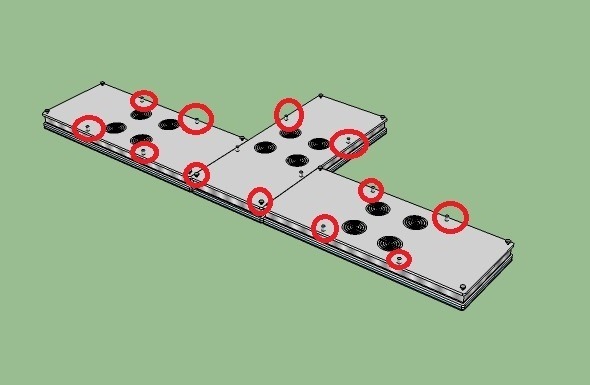 After the plan was approved a mounting system was designed and sent to fabrication to allow the lights to be hung appropriately giving the best coverage and maximizing the coverage of the fixtures. The lights would be mounted onto 3 separate T brackets and then a lift system utilizing a chandelier lift would control each of the T-brackets allowing for easy maintenance above the tank via a simple toggle switch. 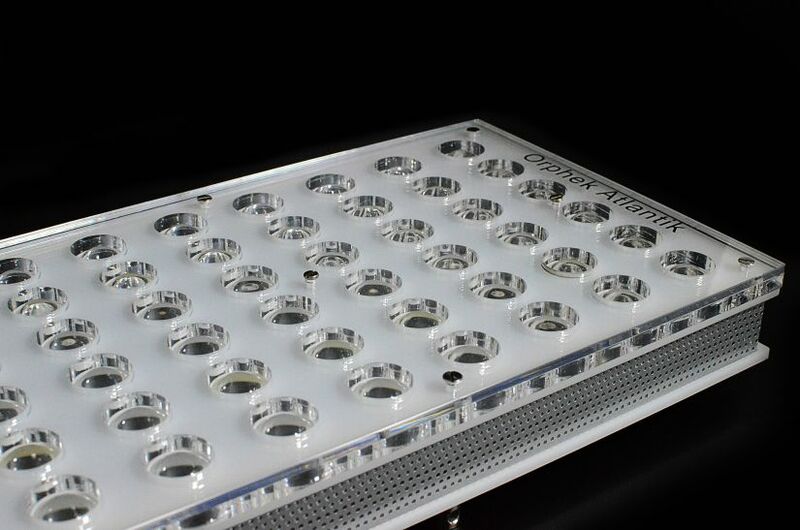 The end result is a secure mounting suitable for many years of service and a consistent even amount of coverage for the tank throughout it’s growth cycle. Once all of the plans were finalized and the lights ordered Scott had a local fabricator weld the aluminum frames to mount the lights to. He was also able to work on other things from this point on knowing that the lighting plan was completed and that there would be no hiccups from this portion of the build. 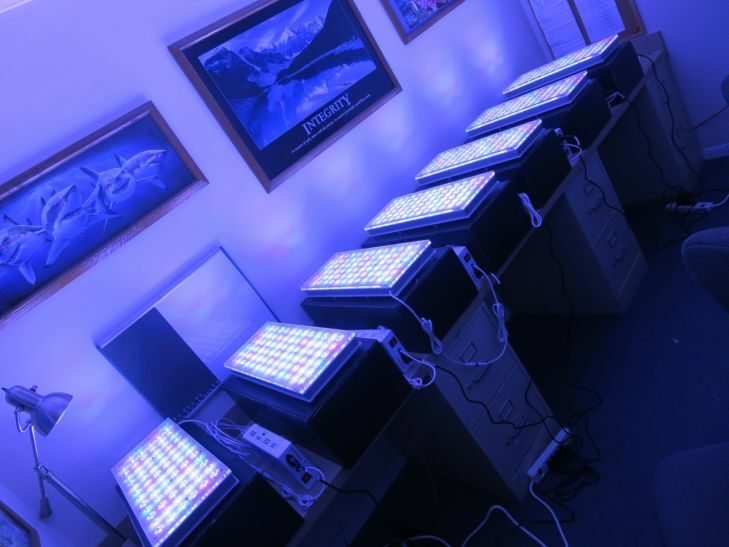 In February of 2015 it was time to install the lights and the first step was programming them and a physical mockup. 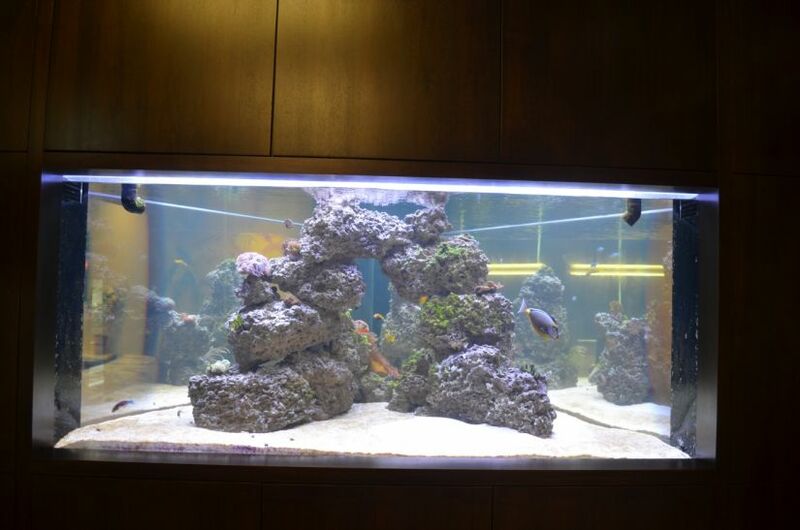 The lights were placed across the top of the tank to ensure even lighting and spacing that the client was happy with. The most important view was the one from the CFO’s office that consisted of an arch that reached almost to the top of the tank. In this photo from the CFO’s view, the lights are spaced in a mockup to give a rough estimate of coverage. Once mounted a raised to their final position the darker spots are eliminated. After the physical mockup was completed and measurements taken the lights were programmed using their built-in wifi, labeled and mounted to their rails and installed. Programming 9 Atlantik v series lights at Ruff Waters Inc.
Getting ready to install the 3 racks of Orphek Atlantik v Series lights. 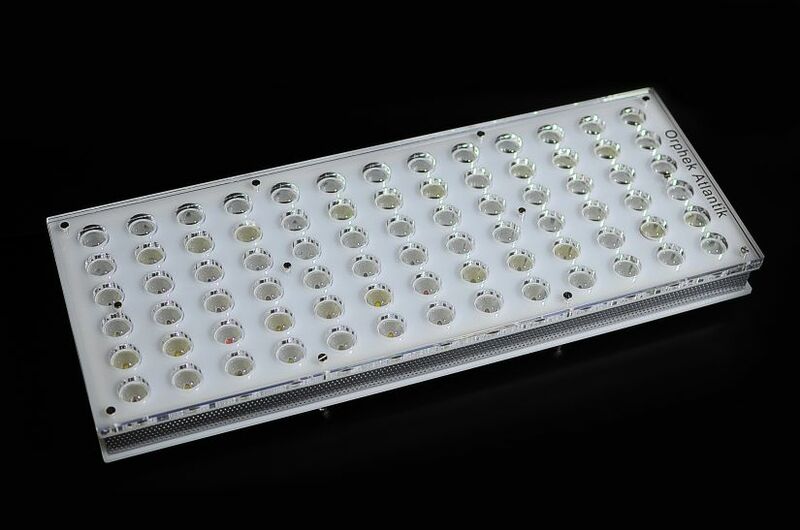 Completed installation of the 9 Orphek Atlantik v Series lights. Rack under the tank holding the 9 power supplies for the Atlantik v Series. Six months after installation the Orphek team payed another visit and got to see the tank at roughly the 180 day mark. Stocking has been slow and methodical as is the nature of stocking a large system like this. 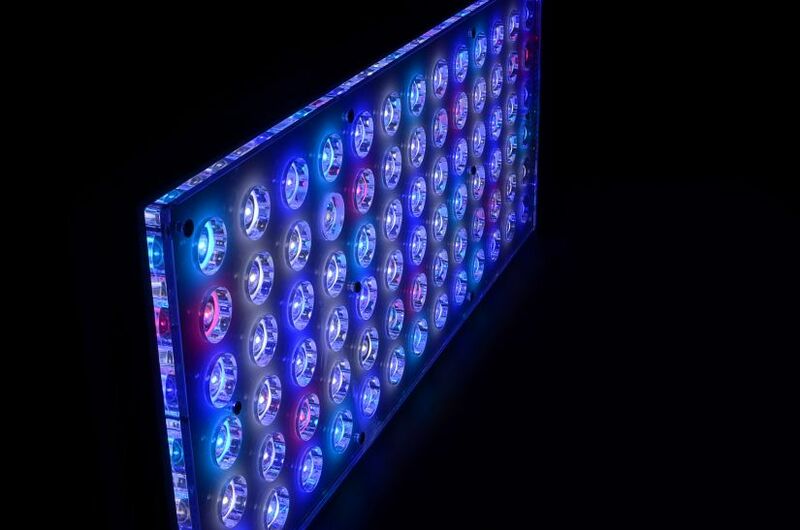 The client and the team at Ruff Waters are happy with the overall lighting plan and have seen remarkable growth in some of the SPS frags that have been in put in the system as trials. 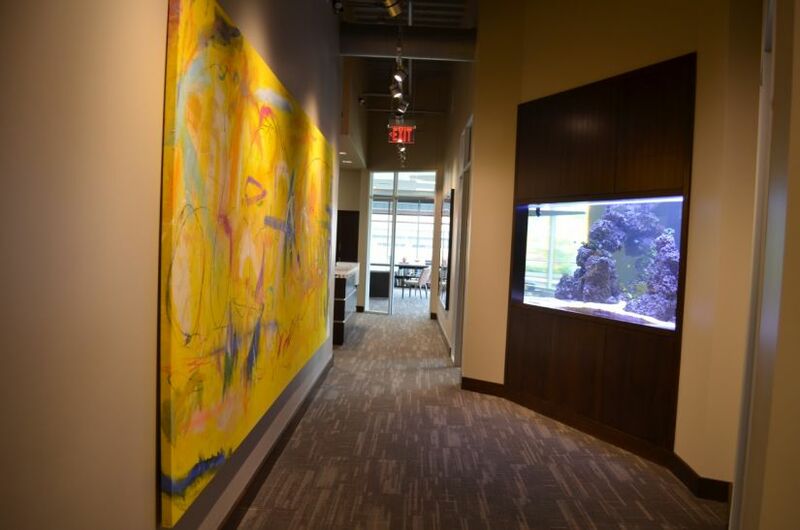 A view of the rockwork and lighting from the CFO’s office at 180 days. A view from the hallway at 180 days. The view in the boardroom at 180 days. 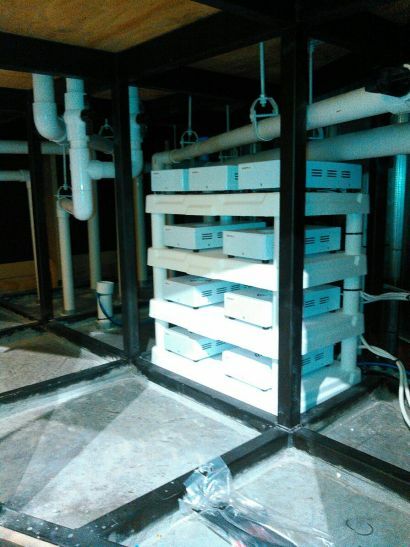 Scott Ruff the owner of Ruff Waters Inc. was more than happy to share this installation with us and we look forward to seeing it continue to progress. He offered up the following information in a survey that was sent out following the installation process. Why did you choose the Orphek Atlantik? ANSWER: It was recommended to me years and years ago by a customer – Mike Wilkens. I believe he may have your first generation product. 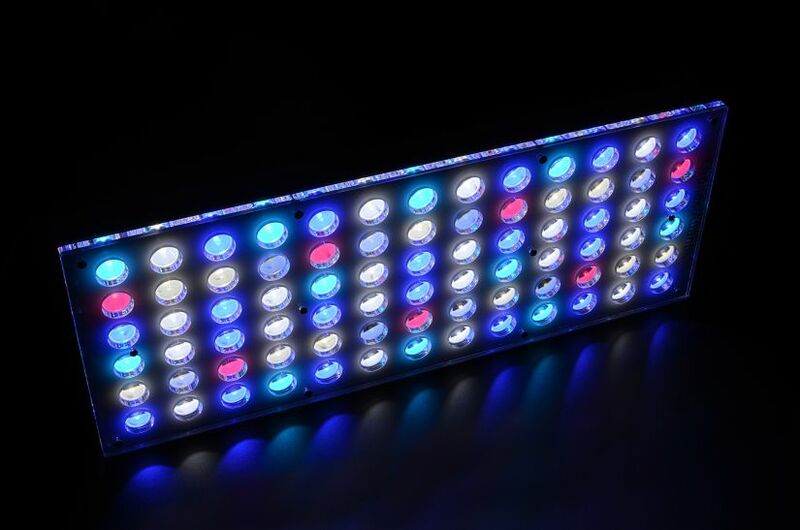 What other LED brands do you install and sell through your service company? ANSWER: I have sold AquaRay, AI, Current, and Orphek. What are the results of your experience with Orphek products and the Orphek team? ANSWER: Orphek makes an exceptional product. 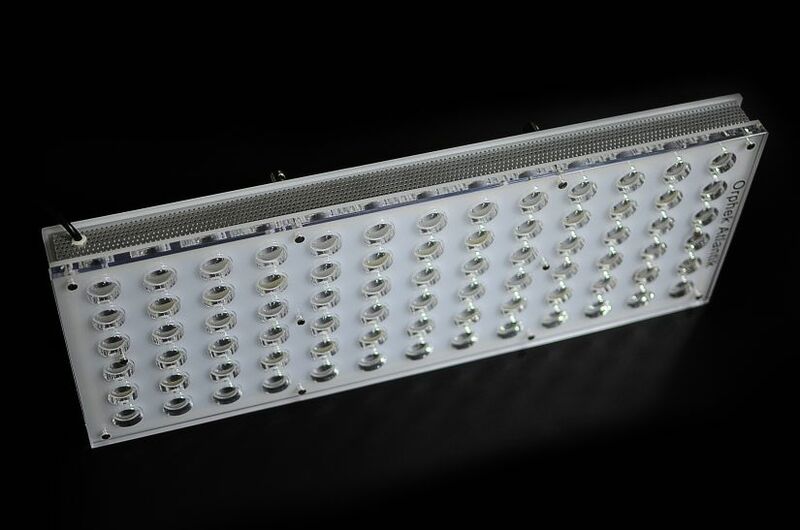 I have been pleased with the light penetration, the easy control of intensity and spectrum, and the reliability. The corals absolutely love these lights! The Orphek Team has been very responsive to my questions and very interested in our display. 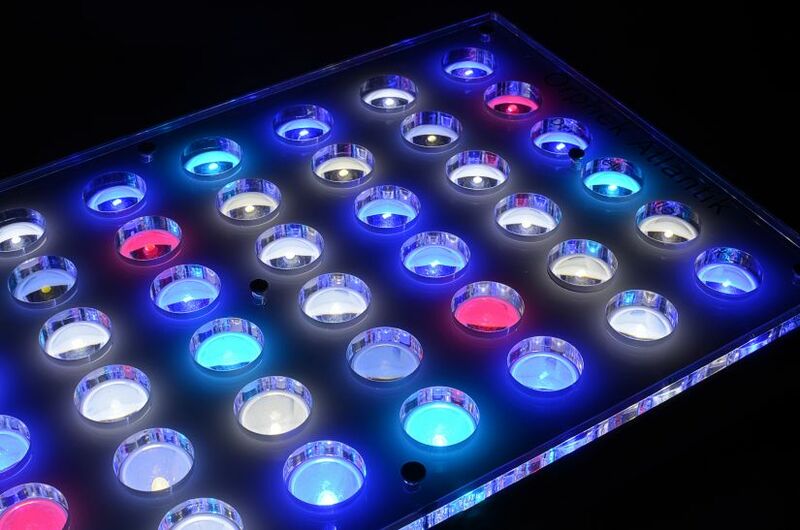 The Orphek team have a great understanding of the Orphek line, the LED industry, and how to maximize the use of their products over an aquarium. When comparing an Orphek Atlantik to another name brand LED what does the Atlantik do better than the other brand? 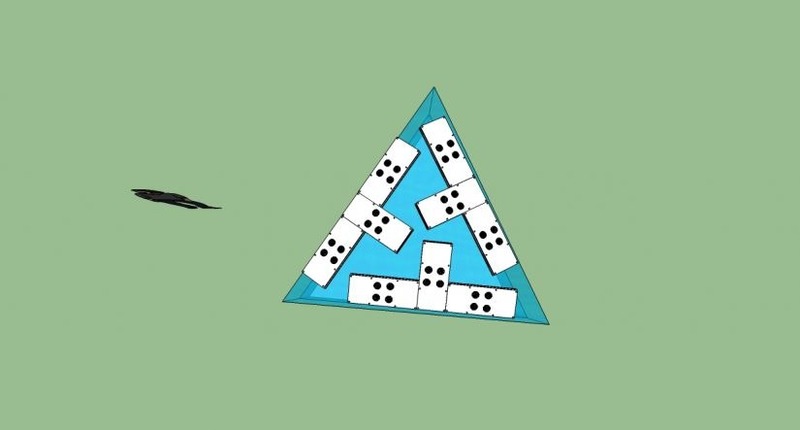 ANSWER: The real strength of the Orphek brand is light penetration and PAR values. We have been very pleased with the coral response to these lights. If you would like to contact any of the companies mentioned in this article you can contact them directly at their websites in the links above or via their Facebook pages below.